Wow, 4 stars, my favorite ARC so far from ALA midwinter. I loved this book and finished it in like a day? A must-read! It’s a YA, a lower YA–I would love my almost 13 yo girl to read it. Celia’s voice is perfect! There are spoilers, so don’t read anymore if you don’t want to know. To me this is a story of pure friendship and the up and down of it as you try to ‘help’ your friends with their schemes and plans. Celia is a wannabe famous-poet. (the poems show so much of her character throughout the story–what a great device!) Celia has turned Dark. She was bullied into it, but this doesn’t come across right away because Celia’s voice is so perfectly real, and positive for so much of the story. She’s a character I liked on page one. Yes she was bullied, but she also lost her best friend and her parents seperated–all within a short span of time. She’s gone through all of this but still sees pain in another, like when she wonders if a classmate is fat for the same reason that Celia is Dark? Love that! Celia has turned Dark with the plan of exacting her revenge on the mean girls at school who were responsible for humiliating her in 8th grade. My heart breaks for Celia, being friendless and starting high school. And it breaks again when she makes one friend her first week of high school, and then crushes on him, and then finds out he is gay. This was a huge shock! I didn’t see it coming so hats off to the author because there is nothing stereotypical about Drake. I as the reader didn’t see it coming, I just thought wow, Celia’s new friend is the ‘hot’ guy at school. He’s cute, he’s smart, he’s athletic, and he doesn’t care that Celia has no friends. I love him! I love how Celia knows he is gay but still she can’t help her feelings, and of course gets jealous when she thinks he is spending too much time with her rival, mean girl Sandy. He’s just trying to be nice, because that’s who he is. Celia struggles with, and makes the very mature decision to support Drake and his dreams and not make fun of his belief in this guru’s book he is reading. She catches herself every time, and she cheers Drake on. Celia’s friendship is tested when one of her poems about Drake (being gay) gets posted all over school by the mean girls. I’m surprised in the best way when who comes to her rescue but Clock–dark and gothic Clock, who torments her and calls her Weird. Even though we know pretty soon that Clock has a thing for Celia. BTW this is the only part of the story I was bummed about–I was really hoping Celia and Clock would be together. I mean after he goes through school ripping down the poems for her? Oh Clock. But in the end, Celia got to keep the friend she thought she was losing to NY forever, and her plan for revenge took a natural and logical course. I loved this story, absolutely loved it! This is another ARC I was lucky enough to pick up last month at ALA. I’m always happy when a book I’m reading makes me think about my own writing and why I have my characters do what they do. This is something I’m struggling a bit with now so it’s nice to see this addressed so well in a book. This is not the type of book I’m usually drawn to because it is quieter, in my opinion, and more character-driven, but like I said before, I’m so thankful for reading it just for what it has taught me about motivation in my own characters. In my opinion this is a YA for high school readers, i wouldn’t let my 7th grade daughter read this yet because of content, even though its written in a delicate way. Slight spoiler warning. The story opens with the drowning of Maggie’s sister Leah when she is 9. This scene was so vivid and heartbreaking for me and I had tears in my eyes by the second page and I was hooked. 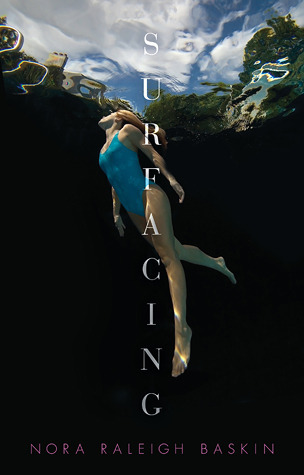 Fast forward–Maggie is a high school swimmer with this family tragedy in her past that affects every choice she makes throughout the story, including trying to offer herself up to a nothing, user, older boy. This whole plan is carried through the story and although its heart-breaking to see what happens from her planning stage to carrying it through to the end, it shows her growth despite the fact that she loses so much as a result. But maybe what she learns about herself in exchange for hurting another is needed. There are many flashbacks throughout the story of what happened to Leah that day and Maggie’s role and dealing with feelings of guilt, even though the blame was not hers. **Giveaway is now closed** Thanks to everyone who entered! See below for the winner! I will be posting another giveaway soon! I’m giving away an ARC of Paper Valentine by Brenna Yovanoff. Below is my mini review, and the details on how to win it and a little chocolate, because hey, it’s Valentines week! No spoilers here! I’m not giving a synopsis of this YA mystery/thriller, I don’t review that way. I just like to tell you how much I enjoyed the story. If I didn’t enjoy it then I wouldn’t give this mini review. I was overjoyed to pick this ARC up at ALA Midwinter last month! I was already a fan of Brenna’s after reading The Replacement a couple of years ago so I knew I couldn’t go wrong, and this book did not disappoint me! Why did I like this story? Come on, it’s dark and there are ghosts and blood and some of my other favorite elements, all mixed together! I admit, the beginning didn’t quite hook me the way The Replacement did, but I do have an aversion to summer heat so this might be why. But all it takes is for one ghost to appear and I’m hooked! The tension grows throughout the story, and especially after protagonist Hannah’s unlikely love interest enters the picture. Which all means, I couldn’t put this down! Because the other things I love in a book are creepy and possibly-forbidden love. Love them! The end has a little twist that I didn’t see coming. I mean it–I couldn’t put this down–I read it in 1.5 days, and stayed up late on a school night to finish it! 1. Follow me on Twitter! @Shannywriter. Reply to me with the words “ARC Giveaway”. If you’re already following me, do the same reply. 2. Or, follow this blog (and leave a comment below so I know you are interested in the giveaway). And if you already follow this blog, leave a comment below. PS: If you do both things, that’s two chances to win! 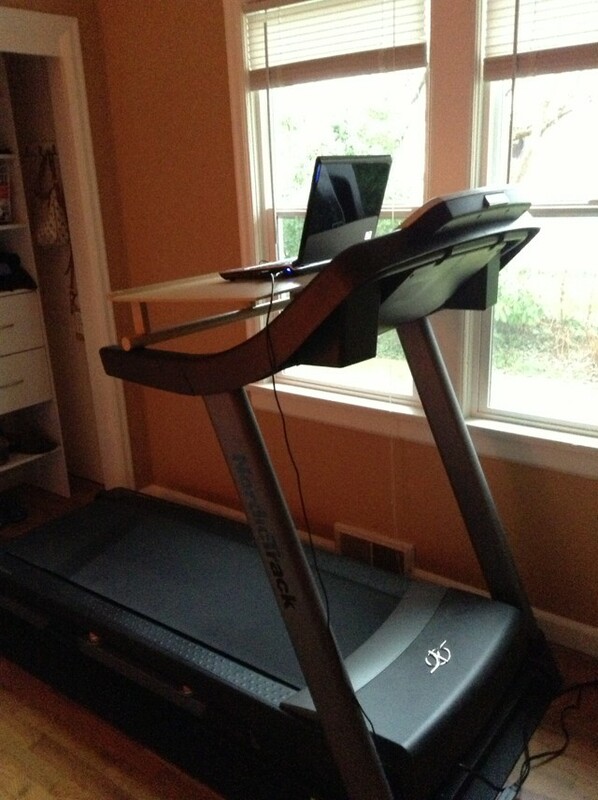 The giveaway ends at 2:14pm (PST) on February 14, 2013. And sorry, you have to live in the United States because I’m a poor teacher and I can’t afford international shipping! 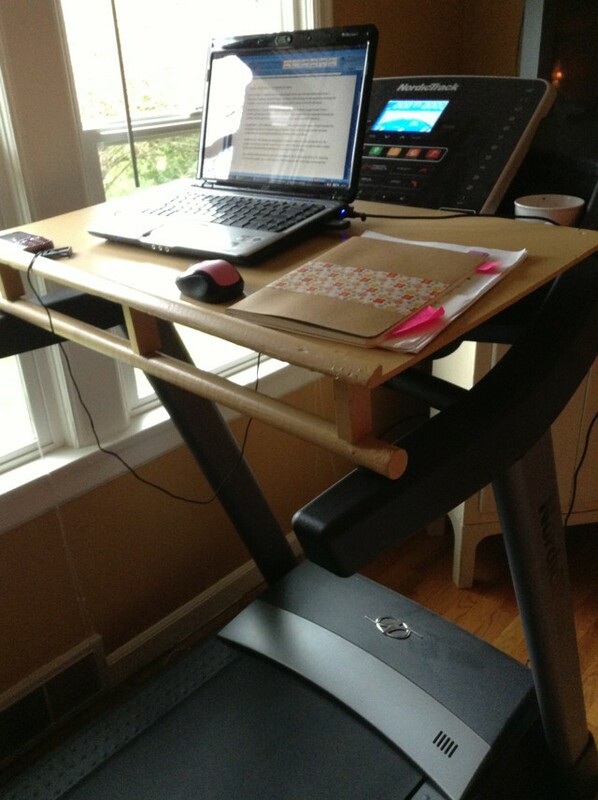 I’ve had my treadmill almost a year and have been waiting for hubby to build me a desk thingy to go over it or on top or whatever, so I can write. And, yay, he finally did it! It’s a little rough in spots but it works great! Everything he used he found in the garage, including an old closet rod! Just a quick little post say say that I’m thrilled to announce that I finally have a literary agent! The decision was hard only because it’s no fun to reject people, and I had four offers of representation from amazing agents, who took the time to read my story and tell me why they loved it. Today I signed with Sarah Davies of Greenhouse Literary! If you want to read the longer version of my journey to getting an agent, click the tab above ‘From Query to Agent’. Shannon Grogan on Valentine Giveaway! Michelle J. on Valentine Giveaway!